Abstracts to be confirmed, please download the abstract from the button below. ICCHNR are delighted to announce that the 2017 conference Community Health: Action for Change will be co-hosted with the University of South Africa and will be held at the Montecasino Resort, Johannesburg, South Africa. We look forward to welcoming you to the 7th ICCHNR International Conference “Community Health: Action for Change”, hosted by the University of South Africa at the Montecasino Resort, Johannesburg. Please complete the form and the bank transfer, please note reference number RC821100 is vital to include in the EFT. She is a PhD holder in nursing and M.Cur from the University of Natal and a B.Ed. Degree obtained from the University of Botswana. Her specialities are in non-communicable diseases as well as traditional knowledge systems of care. She has conducted research and published in International and regional journals in areas of health and mainly on chronic illnesses and HIV and AIDS issues and on traditional medicinal ethno-surveys. She holds certificates in Research Ethics and Monitoring and Evaluation. She has presented in conferences locally, regionally and internationally. She has served the University as Head of department as well as Dean of the Faculty of health Sciences in the past. She is still engaged in teaching/learning processes as well as research supervision of the undergraduate nursing students. She is passionate with curriculum development and reviews as well as module developments for part-time and distance education. She serves in local and international organizations such as the SADC Indigenous Knowledge Systems, Directors Joint Consultative committee of the East-Central and Southern African- Health Community ( ECSA-Health Community) to name a few. 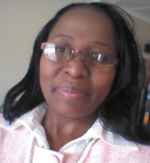 Currently, she is the Director of the Institute of Research on Traditional Medicines and Indigenous food plants as well as an Associate Professor in the Department of General Nursing and a mentor for the Masters students in ICAP Swaziland. She is also a member of the Global Clinical Nursing Research group. She is the focal person for the Biodiversity in Swaziland and saves in the Labour Advisory Board of Swaziland. Her specialities are on teaching/learning processes, research, chronic illnesses medical-surgical care, traditional knowledge systems, research ethics, and Intellectual Property as well as Benefit Sharing issues. Jane Salvage, RGN, BA, MSc, HonLLD, HonDSc, HonDUniv, FQNI, FRCN, is programme director of the Global Nursing Policy Leadership Institute 2017, International Council of Nurses. She is well known as a nursing and health policy activist and leader. Her commitment to high quality health care, social justice and women’s rights has been the main driver of her unusual career. Her best-known book, The Politics of Nursing (Heinemann 1985), was a wake-up call to the profession to get out from under. She remains passionate about helping nurses to become articulate, effective and influential in all aspects of health and social care, education, research and policy. After a degree in English at Newnham College, University of Cambridge, she trained and worked as a clinical nurse in the East End of London. Her many different roles include spells as chief nurse at the World Health Organization (European Region, and later Headquarters). 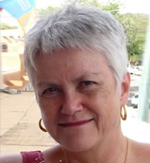 She has worked on nursing projects and spoken on nursing and health in many parts of the world. Among many international projects past and present, she is helping to establish a nursing and midwifery development centre in the Kurdistan Region, Iraq. Back home in the UK Jane is Writer-in-Residence at Kingston University and St George’s, University of London. She is an advisor to the Royal College of Nursing and the Royal College of Midwives on their international activities, and has worked on major policy reviews, including the Prime Minister’s Commission on the Future of Nursing and Midwifery in England; the Willis Commission on Nursing Education; and the 2016 UK All-Party Parliamentary Group on Global Health report on nursing worldwide, Triple Impact. 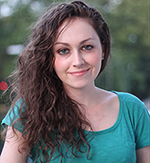 Molly Case is a spoken word artist and nurse born and brought up in south London. In April 2013 she achieved national recognition after performing her poem ‘Nursing the Nation’ at the Royal College of Nursing, gaining over 350,000 views on YouTube in just a few months. Molly has appeared in the Guardian, the Independent, the Times, Elle magazine and Huffington Post, and was named in the Health Service Journal’s Inspirational Women list and the BBC’s 100 Women list. Her debut collection of poetry, ‘Underneath the Roses Where I Remembered Everything’ was out in 2015 with Burning Eye Books, inspired by her journey to becoming a nurse. 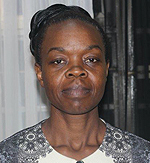 Joyce Owino PhD, KRN/M is a Kenya Registered Nurse/Midwife. She is currently a Senior Lecturer in the School of Nursing at The University of Eastern Africa, Baraton. She is the immediate former Dean of the School of Nursing, during which time she spearheaded the transition of the department of nursing to a School. Dr Owino holds a Masters Degree in Health and Nursing Studies from Reading University, UK, with a concentration in Nursing Leadership and Practice. She obtained her PhD in community health and development at Great Lakes University of Kisumu, Kenya, during which time she developed a substantive theory for antenatal nursing care in rural Nyanza in Kenya, namely, Owino’s theory of nurse-client interactions for child birth preparedness. Dr Owino has been a nurse for 30 years in various countries, institutions and capacities including clinical practice, community health leadership, nursing research, nursing education and nursing administration. She has in the past led two teams in starting departments of nursing in two universities; and a school of nursing in one. She has in the past received two research awards from Commonwealth, and Global Health Research initiative. In 2010-2013 she was a facilitator and core contributor to the development of “The core management training programme for health managers”, an on-going National initiative of the Ministry of Health. She was also a contributor in the development of the current National Community Health Strategy. She currently oversees several undergraduate and graduate community and research projects. Dr Owino has published and co-authored several books and research articles. She will be talking broadly about the community health nurse as a leader of/for change. – Free high-speed WiFi internet access per room, per day. Enjoy effortless access and great connectivity with a dedicated 750mb per day. – Business Centre- This well-appointed business centre is equipped with computer stations, internet access, printing and photocopying facilities. – Fitness Centre – This state-of-the-art fitness centre is available 24 hours at no cost to residents. Refreshments and towels are provided and headphones are available for TV screens. – Mangwanani Spa Boutique – On-site African-inspired massage therapies are available in the comfort of your room as well as in gazebos alongside the pool. – Fitness Centre – This state-of-the-art fitness centre is available 24 hours at no cost to residents. These rates are subject to change and availability. Founded in 1948, this country club is located in one of Johannesburg’s most vibrant areas. The 18 hole golf course boasts beautiful grounds and a wide variety of birdlife – just 5km away from the hotel. Provides entertainment 24 hours a day and provides the best of everything. From A-list entertainment to award-winning restaurants to high-energy nightlife as well as a fantastic theme park. The Kyalami Karting Circuit cc is designed for professional kart racing. It is the perfect venue for corporate events or team building functions. Kyalami Karting Circuit cc is the premier corporate karting and team building facility in Gauteng, South Africa. Professional karts are not referred to as go karts or go karting – those are normally for the back yard. Kyalami Karting Circuit cc run actual race karts and they are ready to give an awesome experience, one that you won’t forget. Experience the 2,400 million year old Magaliesberg Mountains on a unique 2.5 hour canopy tour through the Ysterhout Kloof. This park is situated in Gauteng, near Lanseria Airport and Fourways, and offers terrific up close views and interaction with a large variety of predators indigenous to Africa. The Pilanesberg Game Reserve is in the Bojanala Region of the North West Province, about an hour and half’s drive from Fourways. The park ranks among the largest of the parks in South Africa and accommodates virtually every mammal of Southern Africa and is home to the Big Five. There will be regular updates and further information on this website, please check regularly.